The Earl of Sefton, then owner of the ~7,700 ha Abbeystead estate, built the House in a slightly odd part-Elizabethan, part-'Scottish hunting lodge' style. Since 1990, it's been the hub of the Duke of Westminster's estate. 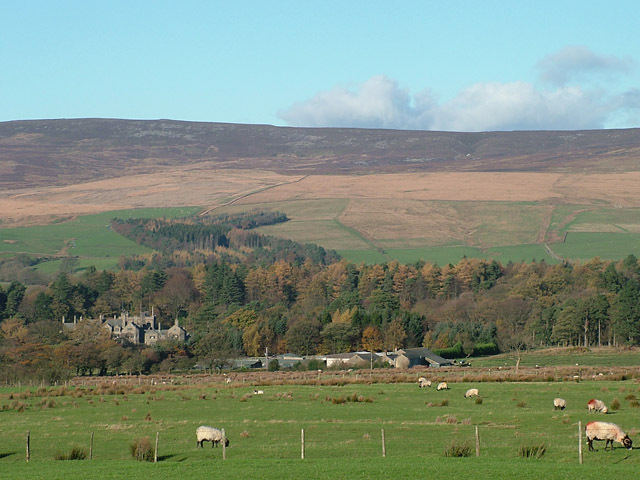 The group of nearer, low buildings comprise Doeholme Farm.